Join the crew for a kayak or SUP adventure just minutes from Franz Josef Glacier! 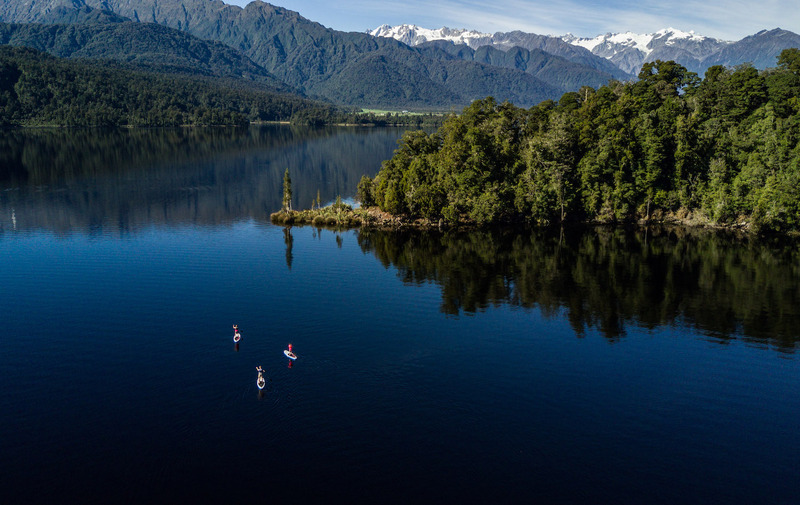 Enjoy open water panoramic views before navigating through the rainforest-clad streams of the Okarito Kiwi Sanctuary. Lake Mapourika is renowned for it's stunning mirror-like water, birdlife and amazing views. The kayak tours are designed to complete your Glacier Country experience. Novice and experienced paddlers alike find this venue outstanding. The team of experienced local guides offer interpretation of the area's geology, geography and the unique flora and fauna of the rainforests in the Westland National Park. Glacier Country Kayaks and SUPs offer a few different kayaking and Stand Up Paddleboarding options, so there's a trip suitable for all ages and abilities! Check out their website for more tour details. Forward bookings are recommended as spaces fill up quickly! FREE KAYAKING PHOTOS WITH EACH TOUR!